Bitcoin news this week was not confined to crashing prices. An even more ominous trend for bitcoin has emerged, as reported in this article. Bitcoin usage dropped almost 80% in the year ending last September. 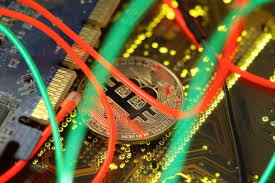 While bitcoin has always served as a speculative gamble and utility token for criminals, many advocates hoped that bitcoin could break out and become a true currency offering liquidity and price stability. Instead, the opposite has happened. That’s a nice sentiment, but it’s detached from reality. Bitcoin is failing in every important category of suitability as money — price stability, convenience, transaction cost, speed, sustainability, scalability and volume. What’s happening with bitcoin is not a bump in the road but the end of a fantasy. That’s been my view for a long time, and now the data support that view.